The Rio La Leona drains the sixty-mile-long Lago Viedma. Took this photo from the banks of the river near the old La Leona Hotel. Butch Cassidy and the Sundance Kid once stopped here after having robbed a bank in Rio Gallegos. 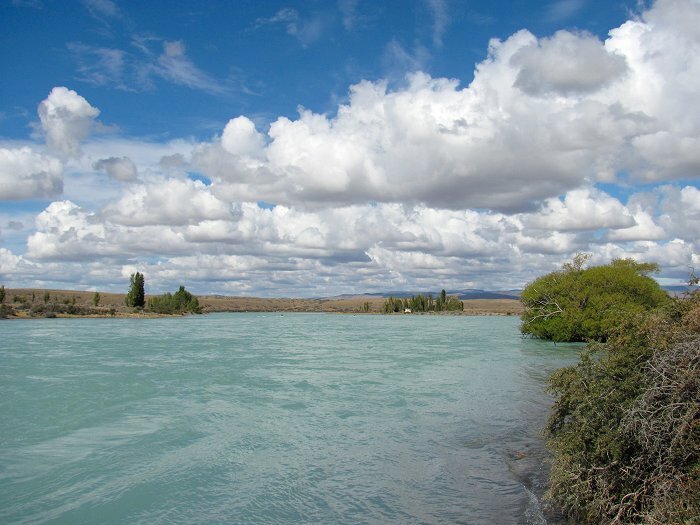 El Chalten, our destination for today, is still over 100 kilometers away.